Project Perfect Mod :: View topic - The results of my experiements. The results of my experiements. Posted: Thu Jan 29, 2015 10:08 pm Post subject: The results of my experiements. I recently forked OpenRA's repository to experiment with. And yes, I'm the idiot that made a pull request because I have little experience with repositories and git. Suffice it to say, I'm also a pretty novice programmer, but I thought to play around with the code anyway. In the process I created 2 more production traits kind of like the airdrop. The first is an alteration to make it use helicopters instead of planes and the second is for chronosphere-based delivery kind of like Npatch had. Right now all the latter supports is the screen flash, I hope to get it to support an animation so that it can be altered to do other teleportation-esque deliveries like a subterranean delivery. It's nothing amazing but I am quite fond of it so I figured I'd share it in case anyone wants to use it. The source can be with my fork under the Extension.DS branch which I accidentally created a pull request while I was trying to merge into the fork's master. There is a test mod, but it is just for playtesting so I'm not going to post that here. I've put some basic documentation in there to help. To use just add it under the mod.yaml like all the other assemblies. I'd like to hear what you all think and if anyone knows more about github that can give me some pointers I'd appreciate it. Those additions look interesting. Read the guide at https://github.com/OpenRA/OpenRA/wiki/Contributing on how to get your changes integrated. I've been working on expanding the TD shellmap lately, I'm told it was planned to do a whole lot more so I thought I'd give it some action. Once I get that complete I'm going to come back to adding onto the production system. These features are more complete in my code than this build, now implementing support for an animation for ProductionTeleport and custom entry/exit directions for ProductionHelipad, but what I really want to do is create a system for unit delivery in bulk like the Dune Starport. I'm not even sure where to begin there though, but it's sure to be interesting. 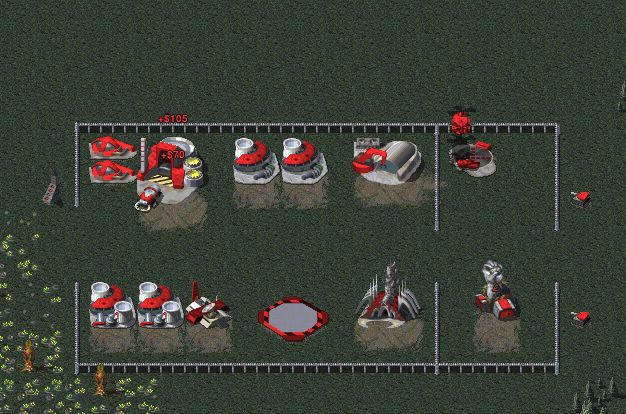 The bulk production queue was work in progress at https://github.com/OpenRA/OpenRA/pull/7056 but sadly abandoned. I suggest you leave a comment there if you want to revive the effort. I'll do that then, it's kind of sad given it appears that the feature was in a working condition, just not fixed up properly.